Apartment buildings have unique security needs. That’s why we customize our security solutions for every building. Apartment buildings have unique security needs and can require the integration of several thoughtfully designed solutions to ensure the apartment building security system is reliable, effective and easy to manage. Whether you are building, managing or living in a condominium building, TELSCO can help with your security needs. A video surveillance system can enhance apartment building security by providing real-time footage of the building, and can also be extremely valuable for retrieving recorded footage of incidents that occur on site. With hundreds of options for apartment building video surveillance, an expert from TELSCO will assess your site and your needs to propose a solution that will deliver the most value, now and in the future. 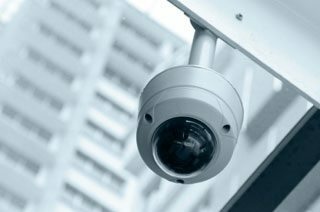 Wiring considerations for a video surveillance system should be made early in your building process to allows for the most cost-effective installation and flexibility with locations. TELSCO’s ULC listed monitoring station provides elevator monitoring from right here in Edmonton. If your elevator stops working with a passenger on board, our friendly, local staff will be here to pick up the call 24/7 and get help on the way. Tenant turnover can be high, and difficult to manage with a local intercom system. With a hosted intercom solution, all your intercom codes can be programmed remotely for instant and easy updates from any location. Easy to use software, also creates an audit trail for apartment building access with an event log that can be viewed remotely. To ensure the security of individual units, TELSCO has wireless smart apartment security systems that go in easily, and protect the personal space of a tenant or unit owner. An apartment system will generally be comprised of door contact(s) and motion sensors, with special consideration of perimeter protection for lower level units with easy access. 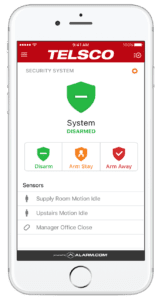 All smart security systems can be controlled using an app, and set up to deliver alerts and notifications based on the activity of the system. Automation can be added to these systems for the integration of locks, lights or other small appliances. Providing apartment security in Edmonton and Area for over 40 years, the experts at TELSCO are qualified and excited to help with your project. In order to attain occupancy for a newly constructed apartment building, the condominium will be required to pass a fire inspection, and a monitoring of the fire panel will likely be included as part of this inspection. TELSCO provides ULC listed fire monitoring from our Edmonton monitoring centre, and specializes in the installation of ULC Fire Communicator Panels. With the introduction of Active Cellular monitoring, we can provide ULC systems without a dedicated landline, making the installation process more flexible than ever. Most condominium or apartment buildings use a key fob or key card system to allow tenants to easily access the building any time. Door access control is often installed on main exterior doors as well as parkade doors and interior doors for common areas such as exercise or pool facilities. These door access control systems are easy to use, and increase security by eliminating lost, stolen or duplicated keys. With remote access options, management is easy, instant and does not require a special visit to the site. An access system should be considered early in the building process to allow for the most cost-effective installation and flexibility with locations.